Providing general operating support can be challenging for grantmakers. From our perspective at CEP, we know funders can sometimes wonder: Is our grant being used to further our mission? Without tying a grant to outcomes, how can we measure our impact? Nonprofit organizations use general operating support (also known as “core” or “unrestricted” support) in many ways, from operating their programs to paying staff salaries, bills, and rent — often, the necessary costs that keep an organization’s doors open and its lights on. Our own research has associated the provision of large, long-term general operating support to grantees’ perceptions of a funder’s impact on their organizations. Yet, in 2012, only 23% of all grantmaking dollars consisted of general operating support. Last year, CEP’s advisory services team had the opportunity to help a funder with a major grantmaking change: a shift to provide more organizations with longer, larger, general operating support grants. CEP shared insights from other grantmakers who had undergone similar processes as the funder moved through the internal conversations and implementation challenges accompanying such a transition. Our advice drew from a literature review on the overall use of foundation-provided general operating support, including trends and practices used in the field and CEP’s research report, In Search of Impact, which relates the provision of large, long-term core funding to grantees’ perceptions of impact. We also held interviews with grantmakers that rely on general operating support as a key grantmaking strategy, in which they shared effective practices, key challenges, and advice on implementation. Using information from comparative data collected through CEP’s Grantee Perception Report (GPR), we also identified and interviewed funders providing high levels of well-regarded general operating support. Peer funders stressed the importance of relationships that were built on candid conversations, clear communications, and transparency. Tracking the length of funding relationships with organizations. Often, grantees may have been funded by a grantmaker for many years, and funding relationships began with program or project‐specific grants. Visiting organizations and meeting with leadership and staff. Regular site visits help to develop relationships and ensure goal alignment. Discussing how grantee organizations measure progress toward their own goals. Foundations can be confident in funding grantees that have a track record of successfully achieving results. We collected examples of grant applications and reporting forms that funders required for grantees receiving unrestricted support. Overall, we saw that administrative requirements for unrestricted support are more likely to center on organizational goals and impact rather than specific project outputs. Grant applications for unrestricted support typically explore two main topics: the degree of alignment between a funder’s goals and those of its grantees, and grantees’ financial and organizational stability. Peer funders de-emphasized standard reporting requirements for general operating support grants. Citing the trust and strength of the relationships underlying many general operating support grants, the funders we interviewed described broader conversations with grantees during the grant cycle and at the end of the cycle as part of the reporting process. Implementing new systems and standards can be challenging. The grantmakers CEP interviewed (primarily program officers and leaders of program teams) outlined occasional difficulties with measuring the impact of their work — a fundamental shift after providing primarily program or project-related support — as well as challenges faced by program and evaluation staff in adjusting to new processes and operations. Ultimately, this funder introduced a major initiative to provide multi-year, large grants of general operating support to a group of key grantees. We know that our work alone was just one of several contributing factors to this decision, and we are glad that CEP’s resources — our assessments, research, and connections to other funders — were able to support this funder in making a meaningful change. Mena Boyadzhiev is a manager of assessments and advisory services at CEP. 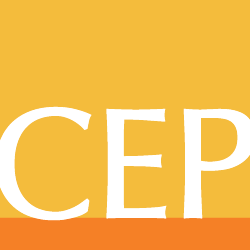 To learn more about CEP’s advisory services, contact her at menab@cep.org.